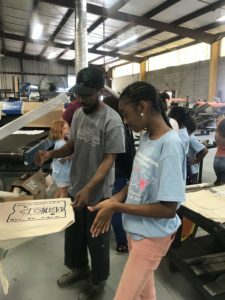 Planning and production was in full swing this week for the creation of the campers very own business! 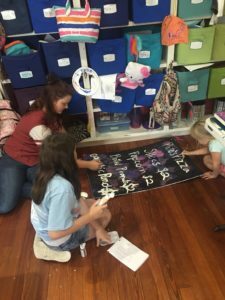 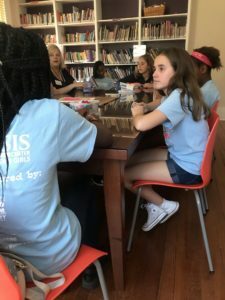 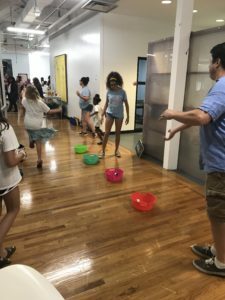 The second week of our two-week business camp session involved executing the final aspects of planning a business, and our campers worked closely with business mentors to execute their vision. 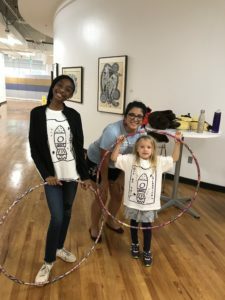 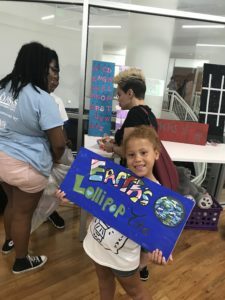 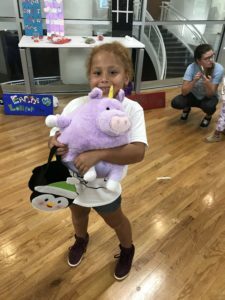 The girls learned launched their “Oasis Out of this World Carnival” pop-up business and it was an extraordinary event! 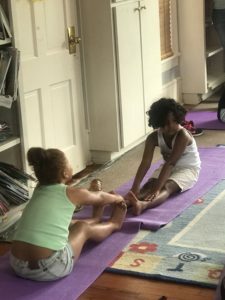 Every week at camp, we start our Mondays with yoga to enter the week with a clear mind and a flexible spirit! 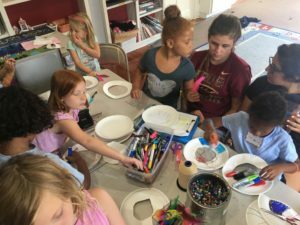 We spent time making key-chain and dream catcher crafts as well. 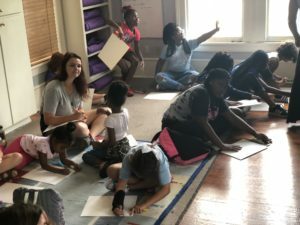 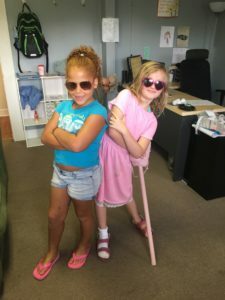 Our campers enjoyed a visit from Mikaya Dionne Enterprises and they learned about goal setting, the importance of resiliency, and working hard to achieve your dreams! 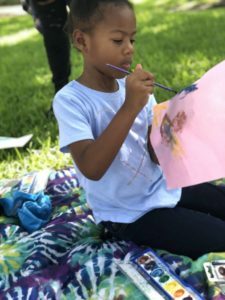 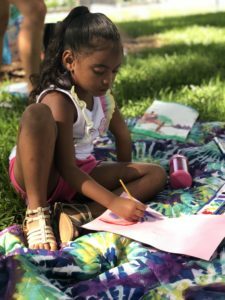 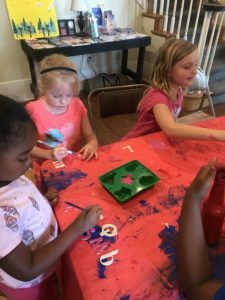 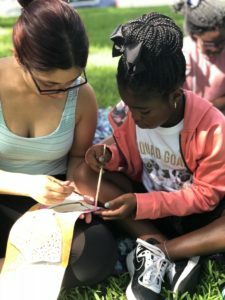 We spent time during our weekly Outdoor Mindfullness sessions to take in our surroundings and create watercolor paintings. 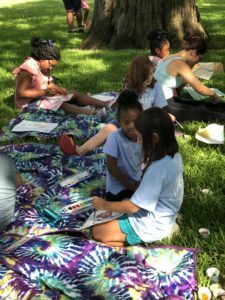 It was a beautiful day to relax outdoors and express our creativity. 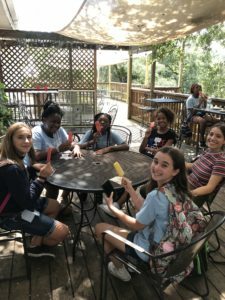 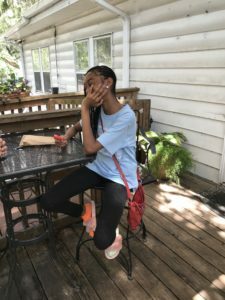 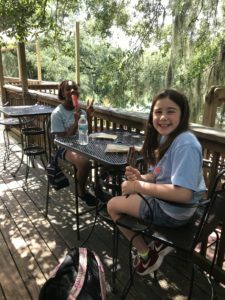 The Junior Leader campers spent time at Lake Ella this week, visiting the Quarter Moon Imports shop to learn from the owner about operating a boutique and small business, and relaxed in this beautiful local park. 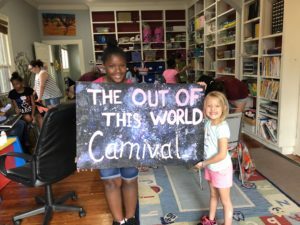 Our girls worked hard with their business committees to finalize the budget, products, and marketing for our one-time business venture, the Out of this World Carnival! 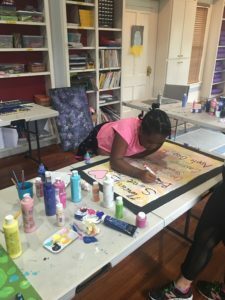 No business is fully complete without a visible logo! 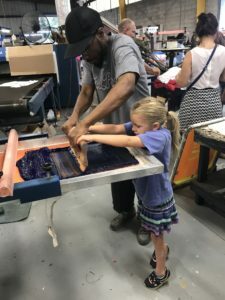 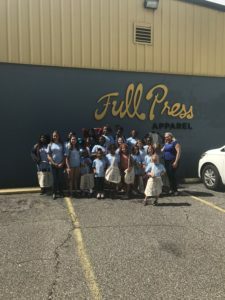 Thanks to Full Press Apparel, the campers were able to take transfer their logo design onto t-shirts and bags, while also learning more about this local business! 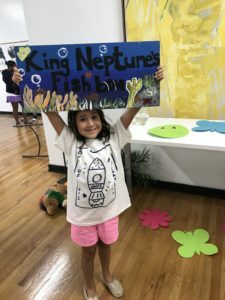 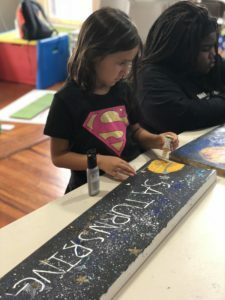 The hard work our campers have been putting into the last two weeks culminated into a fantastic pop-up business – the Out of this World Carnival! 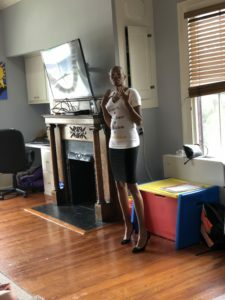 Thank you to the Institute for Nonprofit Innovation and Excellence for sharing your space with us to host this event! 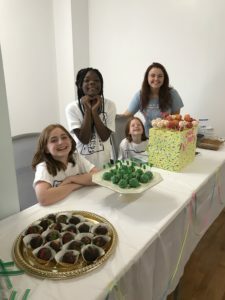 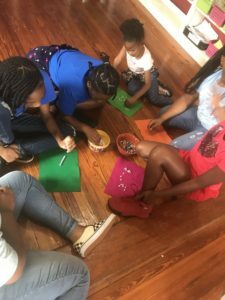 Our girls made treats, designed games, and had give-away prizes available for event guests. 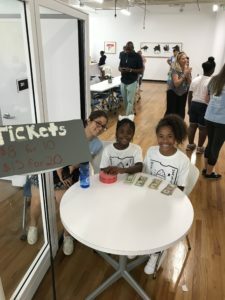 Half of all proceeds went to the St. Jude Children’s Research Hospital, and the other half were kept as earnings divided evenly among all campers. 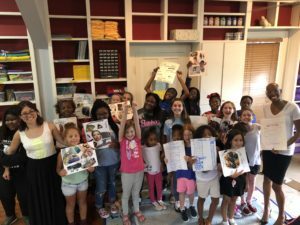 Thank you to everyone who came and supported our girls – we had an extraordinarily good time!